It's time for the sheds. 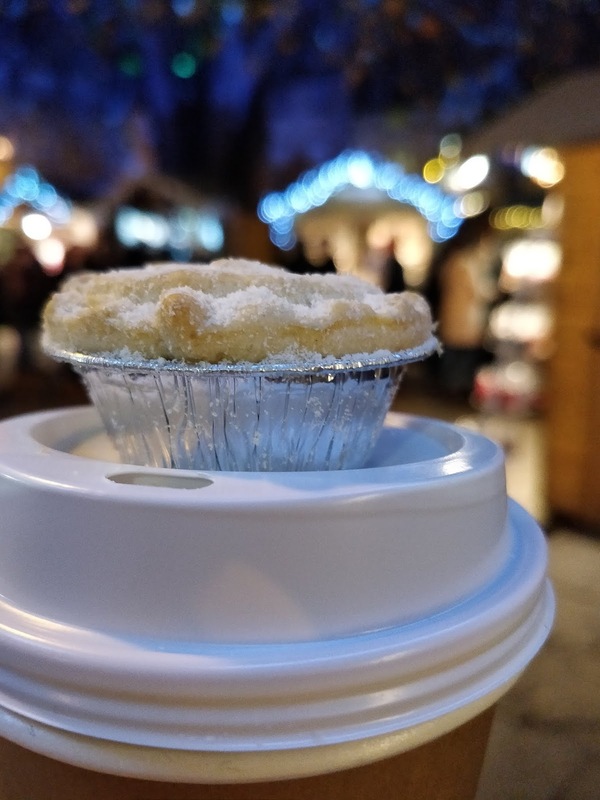 You may remember from previous years that it has become a tradition to hit the famous Bath Christmas Markets on opening night. My old workplace still has a training day on the following day so I met up with friend Caroline and Vikki for the usual shed-browsing, mulled-wine drinking experience. Certain traditions must be observed. 1. Cheese must be purchased from the Welsh cheesemakers who sell their cheese in small truckles covered in different colours of wax. This year I bought two pickled onion, one chilli and one fig and honey. 2. Puddings must be purchased from Georgie Porgie's. They're the best Christmas puddings ever. I was overjoyed when Mr Z discovered one in a plastic bag behind the fridge in the summer. Christmas pudding in the summer is a win. The stall always have lots of free samples, too. I bought a couple of chocolate, orange and Bailey's and an apple and cider. 3. Gin must be sampled, and sometimes wine and other spirits too. Last night I sampled the new Bath Gin orange sloe. It was very good, so I bought a medium bottle. While I was there, a girl came over to ask for a sample. She definitely seemed underage to me but the chap handing out samples gave her one of the rhubarb and started explaining about the brand. She necked it, nearly choked, looked horrified and literally ran off in the middle of his spiel to her mirth-filled friends waiting on the corner. Ahh, her first neat gin: I was glad I could be there to witness it. I could have told her that drinking it neat gets easier with practice. 4. Mulled wine must be purchased from the place where they ring the bell outside and provide a free mince pie. This year they'd upped their game by offering a shot of brandy for an extra £2. 5. Something with a robin on it must be purchased. My obsession with robins remains healthy. Last year I bought a smaller version of this, which is by Robyn Coetzee Glass. She does some amazing other birds, too. I want to buy them all but they are ...well, I'd say they are fairly priced for the effort that has gone into them. Luckily, when I was looking up the name of the stall for this blog, I discovered that she mainly sells her stuff from a shop that is approximately 10 minutes' walk from school. 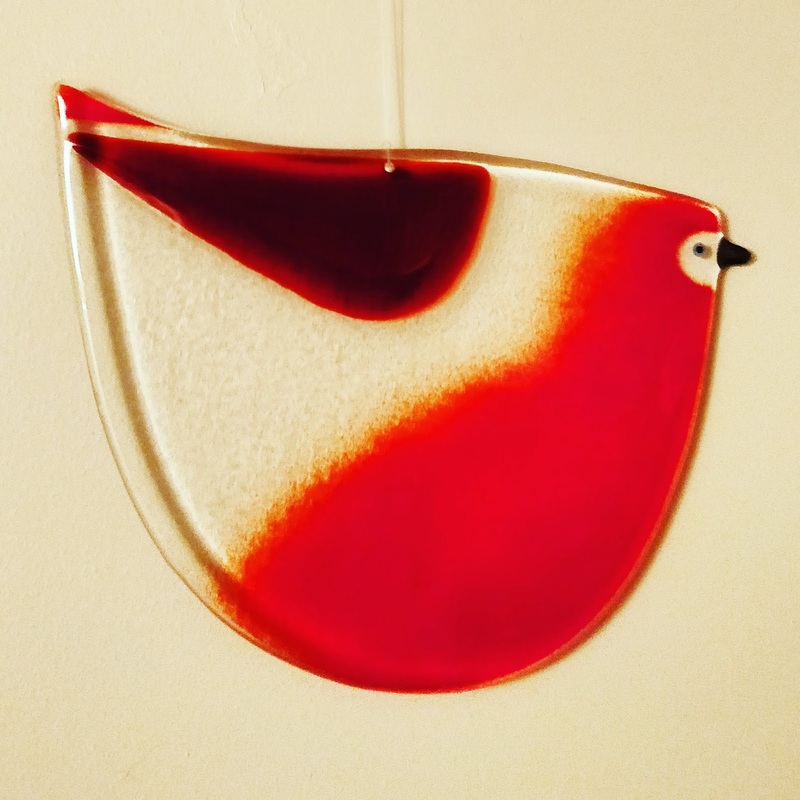 I foresee a lot of glass birds in our future. Christmas can begin now. I'm feeling festive. I was so demob happy at school today that I found myself thinking, oh I can't fit that in with y13 because it's basically the end of term. Still nearly four weeks to go, though.